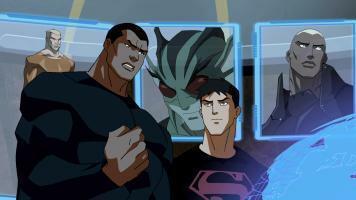 All-new episodes of both Young Justice: Invasion and Green Lantern: The Animated Series are slated to air on Cartoon Network for the month of October 2012. Both series air back-to-back as part of the hour-long DC Nation programming block, airing Saturdays at 10am (ET) on Cartoon Network, with encores on Sundays at 10am (ET/PT). 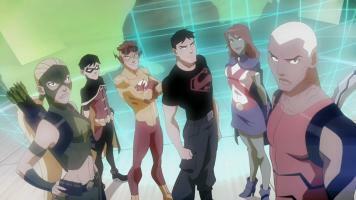 Young Justice: Invasion continues with all-new installments from the second season of the acclaimed animated series. Young Justice: Invasion airs Saturdays at 10:30am (ET/PT) as part of the DC Nation programming block, with encore presentations the following Sunday at 10:30am (ET/PT). 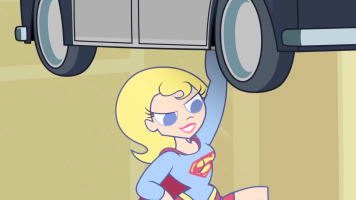 Continue below for the October 2012 episode schedule details, provided by Cartoon Network. 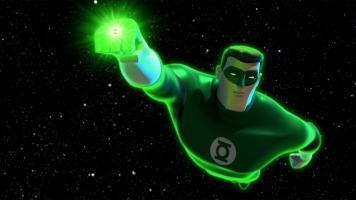 Continuing, all-new episodes of Green Lantern: The Animated Series will air for the month of October 2012. 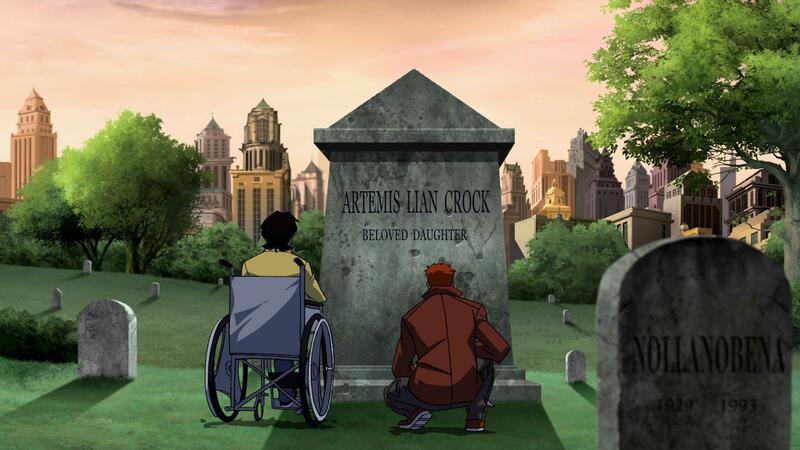 Green Lantern: The Animated Series airs Saturdays at 10am (ET/PT) on Cartoon Network, with encores the following Sunday at 10am (ET/PT), as part of the DC Nation programming block on Cartoon Network. The episode breakdowns are provided below. The Manhunters attack the Blue Lantern home planet! Green Lantern Sinestro unknowingly unleashes a dangerous creature on board the Interceptor. 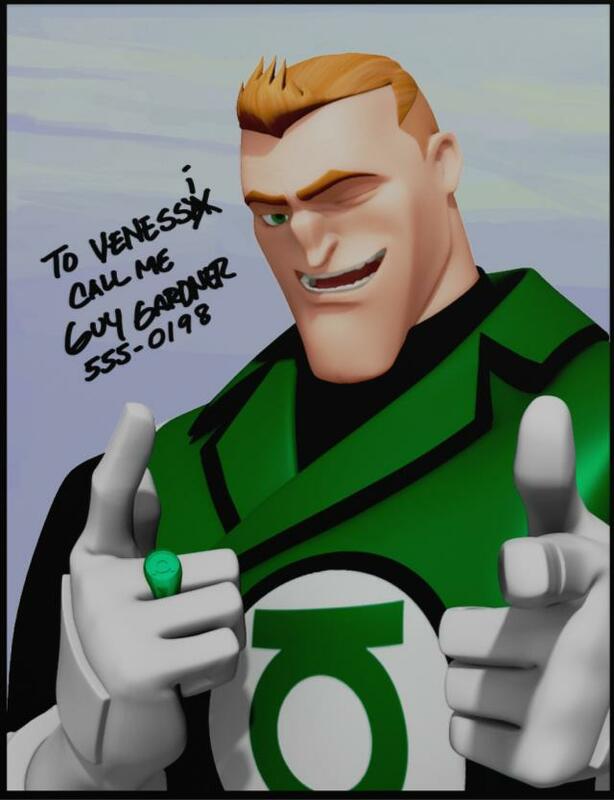 After a long summer hiatus, Green Lantern: The Animated Series is back on Cartoon Network with thirteen new episodes slated to air during the 2012-2013 television season. 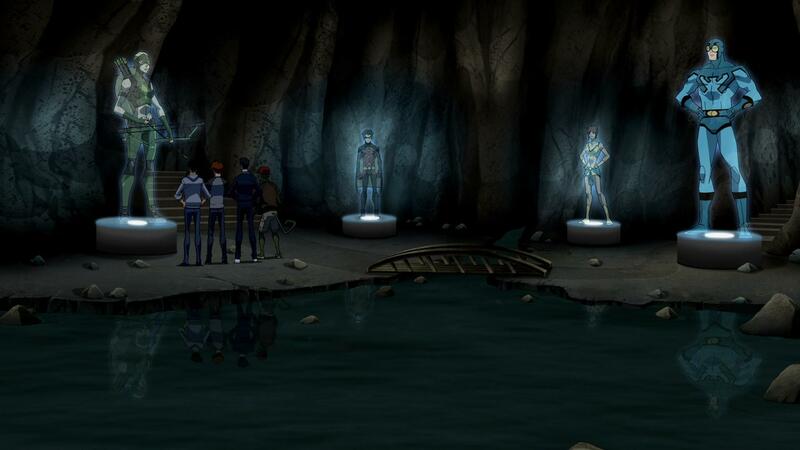 The series follows the adventures of Green Lantern Hal Jordan and his band of heroes fighting to save the universe from intergalactic threats. 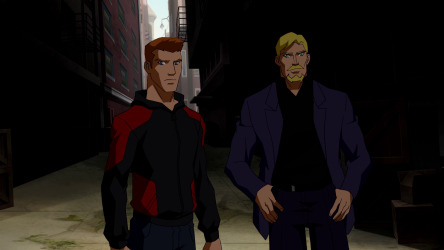 Debuting September 29th, 2012 at 10:00am (ET/PT) as part of the DC Nation Saturday morning programming block on Cartoon Network, series producer Giancarlo Volpe promises the show will venture into new territory while also expanding on the show’s established mythology. Continue below for more from Volpe. The World’s Finest: What can fans expect when they tune into the new season of Green Lantern: The Animated Series this weekend? How are things kicked off? 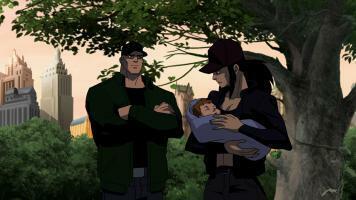 Giancarlo Volpe: Hmm, what can I divulge that won’t spoil the episode? I guess I can say the premiere starts moments after the mid-season finale. Hal is returning to Earth for the first time since he stood up Carol many months ago. It should feel very much like the next installment of an ongoing story arc. At the same time, it’s a good place for new viewers to join in if they haven’t seen the first season yet. 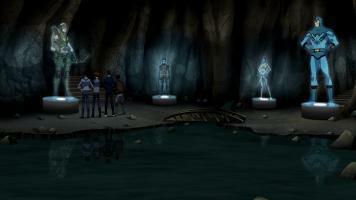 The episode also takes place predominantly on Earth, which I know a lot of fans have been asking about since we started. 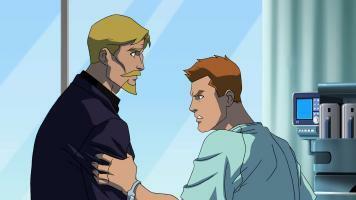 WF: Is it safe to say this episode will lay the groundwork for what’s to come in the coming weekend? And will we see the return of characters and plots from the first thirteen episodes? GV: Definitely. This week’s episode and the following one play like a two part set-up, not unlike season one. There’s a Manhunter bunker discovered on Earth, which will prove to be only the first of countless Manhunter outbreaks through out the galaxy. Where the Red Lantern Corps were threatening to invade from a far away region, the Manhunters have sleeper cells all over. This time, the threat starts from within, right under everyone’s noses. You’re definitely going to see a lot more of the main four – Hal, Kilowog, Razer, and Aya – not to mention fan favorite Saint Walker. We also made it a point to expand the ranks of the Green Lantern Corps while also introducing new characters to (hopefully) fall in love with. WF: Can you tease us with what we can expect for the next thirteen new episodes? GV: The next 13 definitely have more of the same feel as the first batch. 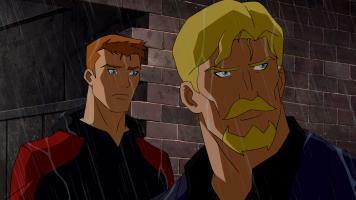 So if you liked the tone of season one you should love season 1.5 (or two, or whatever it’s called). I think the stakes are even higher this time around however, so get ready for some crazy emotional roller coaster rides (double entendre intended). Hopefully all the dramatic tension will make everyone root extra hard for the good guys to save the day in the end. 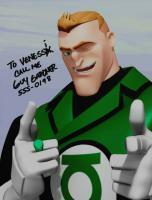 WF: Lastly – Guy Gardner – great Green Lantern…or GREATEST Green Lantern? 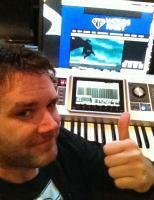 GV: Ha, I don’t know about that one. 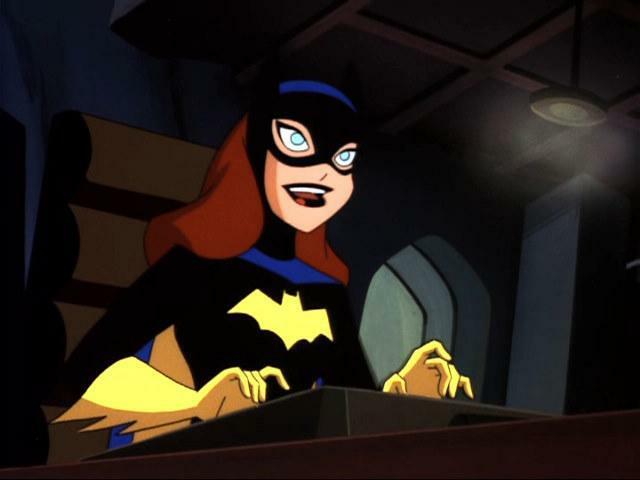 Let’s put it this way – if I had both Hal and Guy’s number on speed dial, I’d call Hal every time there was an emergency. I bet he’d be a blast to grab drinks with. But if I was casting for a smutty reality show, I’d go Guy all the way. Green Lantern: The Animated Series for an all-new season starting Saturday, September 29th, 2012 at 10:00am (ET/PT) as part of the DC Nation programming block. Click here for media from the September 29th, 2012 episode – titled “The New Guy” – and stay tuned for additional content and updates. 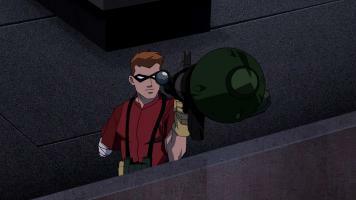 For more details on Green Lantern: The Animated Series, check out the The World’s Finest subsite dedicated to the CG-animated show. 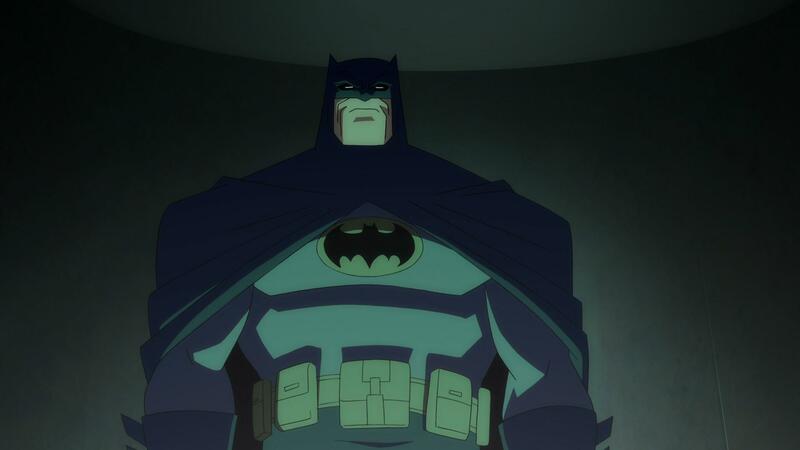 The World’s Finest sat down with composer Christopher Drake to discuss his work on the animated feature Batman: The Dark Knight Returns, Part One. 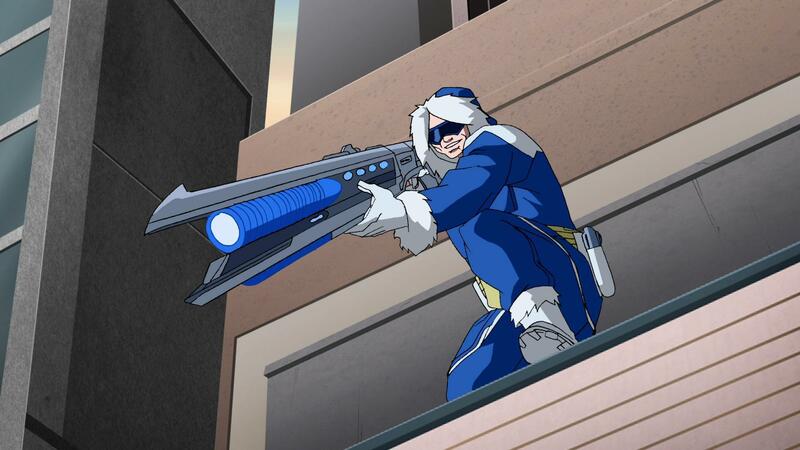 Drake has been a regular fixture in the DC Universe Animated Original Movie line, providing the score for multiple features. 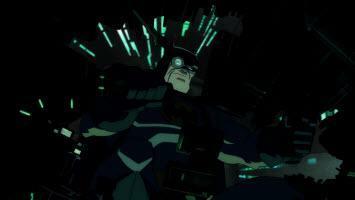 Batman: The Dark Knight Returns, Part One, the latest from the home video line, is the first in a two-part adaptation of the acclaimed comic series. In the following Q & A, Drake reveals how he nailed down his 1980s-inspired synth score, what you may not have heard in the film’s final cut, and teases for some of his major upcoming projects. 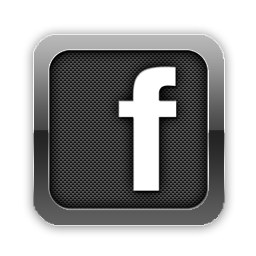 Click on the image below for more. 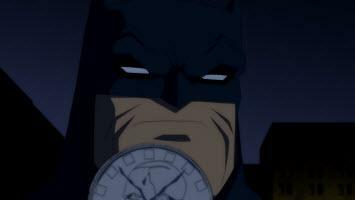 Click on the links below to discuss both the new Batman: The Dark Knight Returns, Part One animated feature and its respective DVD and Blu-ray home video releases. 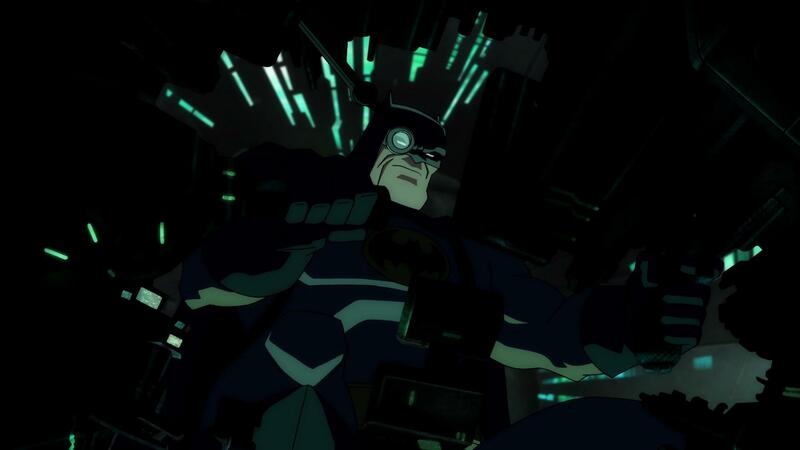 Click here to read the The World’s Finest reviews of the Batman: The Dark Knight Returns, Part One animated feature and Blu-ray release. Cartoon Network has passed along the episode synopsis, video clips, and a collection of images from the upcoming all-new Young Justice episode “Satisfaction.” The new Young Justice episode is scheduled to air at 10:30am (ET/PT) on Saturday, September 29th, 2012 as part of the new DC Nation programming block on Cartoon Network. 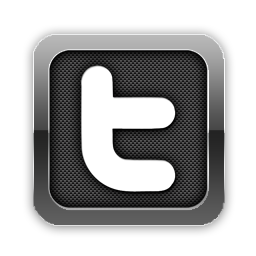 Click on the thumbnails below to view the complete library of hi-res images and Quicktime-format video clips. The official episode description is also provided below. 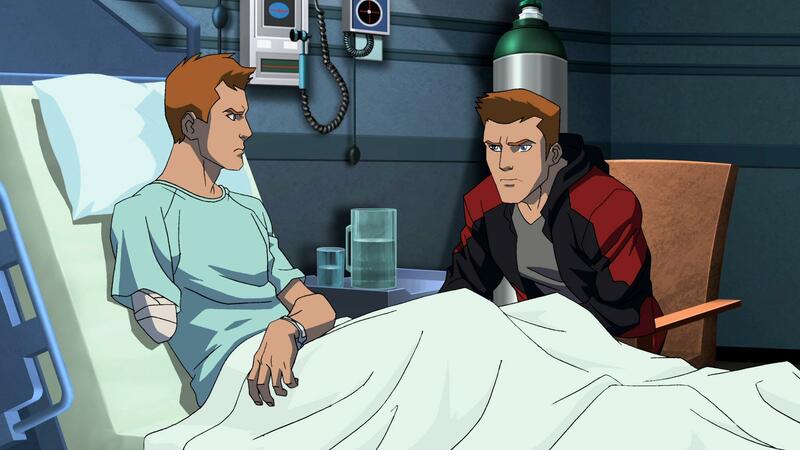 Synopsis: Roy Harper seeks vengeance against the man who ruined his life! 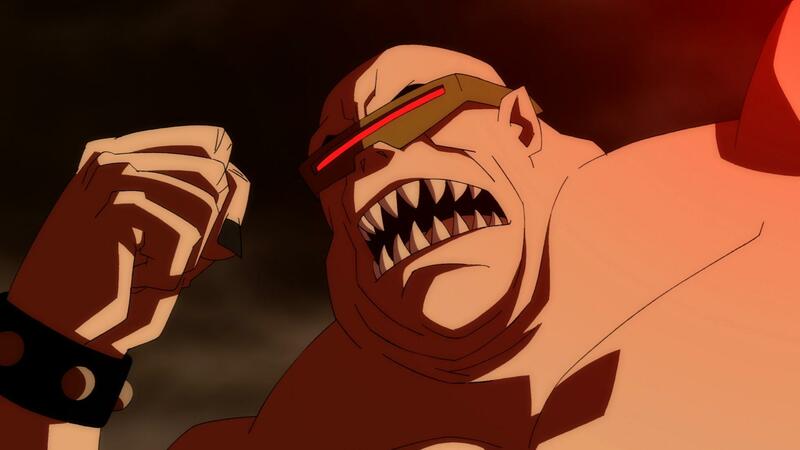 Cartoon Network has also released media for the new animated shorts set to debut this weekend during the DC Nation programming block. The DC Nation shorts are animated shorts starring a host of different DC Comics characters in varying styles. Continue below to view the new content, the first a new Quicktime-format clip and the second a new hi-res image. 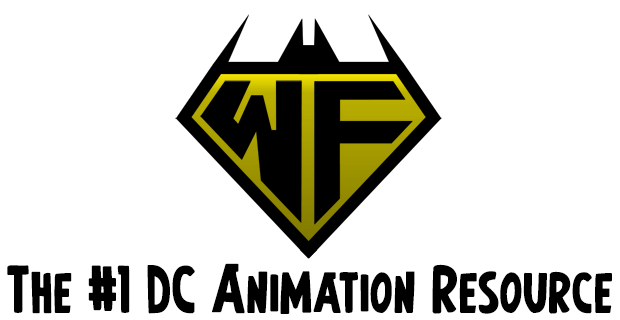 DC Nation returns September 29th, 2012 at 10:00am (ET/PT) with an all-new season of episodes and animated shorts. Cartoon Network has previously released content for the new episode of Green Lantern: The Animated Series debuting this weekend. 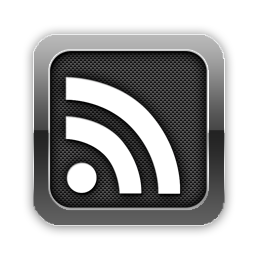 Click here for the new media. Warner Home Video has released a collection of new images promoting the release of the direct-to-video Batman: The Dark Knight Returns, Part One animated feature. 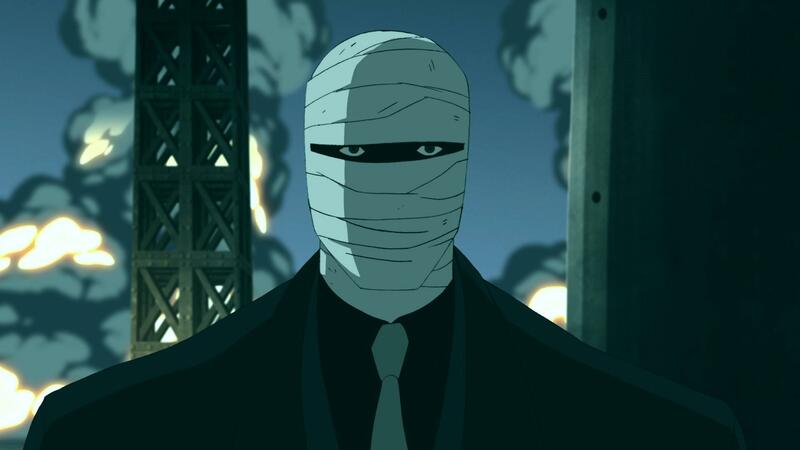 The latest film in the DC Universe Animated Original Movie line – now available to own on Blu-ray Combo Pack, DVD, Download, and onDemand – is the first in a two-part adaptation of the acclaimed 1980s comic series The Dark Knight Returns starring a retired Batman who dons the cape and cowl to deal with a city decaying into crime. A preview for Batman: The Dark Knight Returns, Part Two is available on the assorted home video editions of this movie. Click on the thumnail below for a closer look at each image. 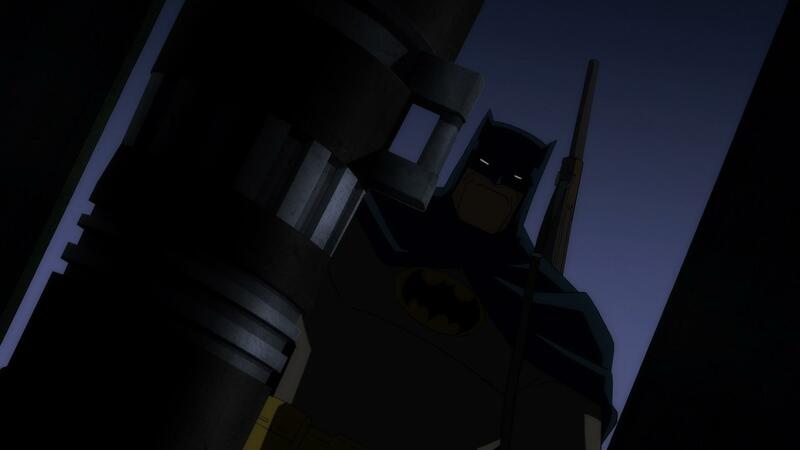 Stay tuned for announcements regarding Batman: The Dark Knight Returns, Part Two, including updates on a New York Comic Con panel, street date announcement, and additional cast reveals.